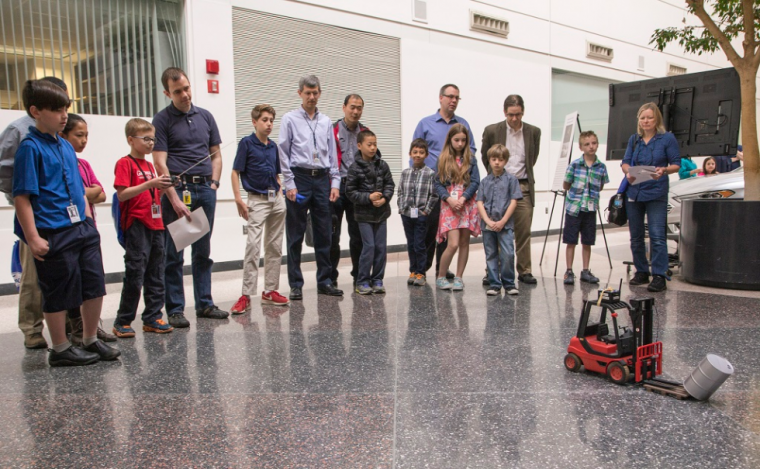 Ford recently celebrated its 24th Bring Your Child to Work Day by inviting more than 230 children of its employees to participate in STEM-related activities at the Ford Research and Innovation Center. 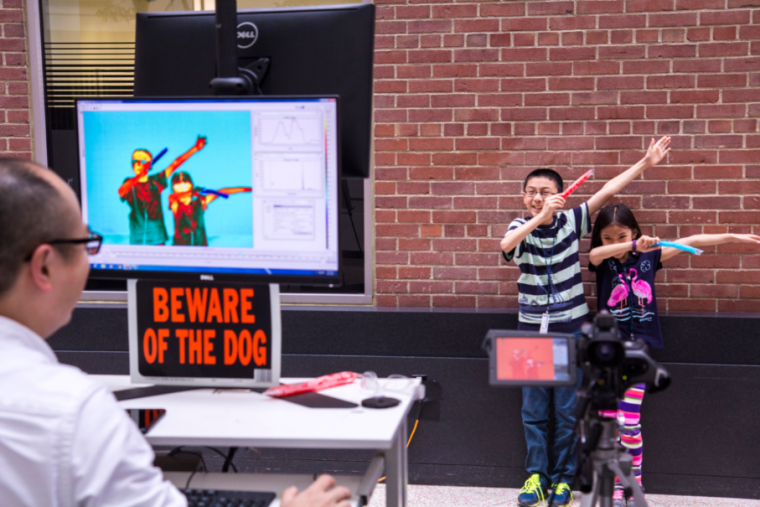 Each of the 230 children were given Ford photo IDs and lanyards for their tour of the 21 different stations within the Research and Innovation Center. On their tour, they learned about everything from virtual reality and robotics to design and autonomous vehicle development from volunteers like Cynthia Flanigan, global manager for design and final assembly systems, who has participated in the event every year since 2000s and was a part of this year’s morning remarks. Among the more popular activities was a crash safety demonstration where creations consisting of cardboard, masking tape, Syrofoam, and plastic cups were put to the (impact) test. This year’s top performers broke previous records for absorbed impact. In another, interior systems and seating technical expert John Jaranson helped teach the kids about cartooning and two-point perspective drawing.